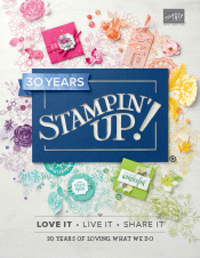 I realy love this stamp set, Forever Young, from the current Stampin' Up! main catalogue. I haven't played with it nearly enough, so last week I put together this 'little bit vintage' creation. Even though I haven't used it here, I took my inspiration for the colour scheme from the matching Timeless Portrait Designer Series Paper - River Rock, Island Indigo and Riding Hood Red (the DSP has Cherry Cobbler, but i used Riding Hood Red so I could sneak in a piece of twitterpated paper left over from another project :) ). There's also Black and Very Vanilla. I just LOVE the First Edition newsprint DSP. I have literally used packs and packs of it this year. Such a great basic and so great for stamping on :) I have used it to both stamp on and as a layer here. Love how the Labels Framelits can be used in so many ways to frame an image too :) You can place them in all sorts of ways to get different effects. In this card the Island Indigo one is clear embossed using the matching (oooh there's that matching word again!) Apothecary Art stamp set, and the other one is from the Twitterpated DSP. I hope you enjoy todays card and it makes you want to run to the craft room and get creating! Happiness is messing up your crafting table! Today I have a card for you that was inspired by my trip to the Stampin' Up! Australian 2012 Convention in Brisbane. Beth Stewart, a fellow demonstrator did a fantastic WOW presentation on using the Elegant Bird die from the Stampin' Up! Autumn catalogue. This inspired me to look at this die more closely and all the possibilities, which led to this wedding card. The Elegant Bird Die is deisgned for the BigShot but can be used with most other die cutting machines including the Cuttlebug. A combination of prints and textures works great on these birds. 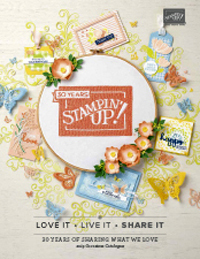 I have achieved that by using Stampin' Up! Glimmer Paper, Stampin' Up! Textured Expressions Embossing Folders, and heat embossing. 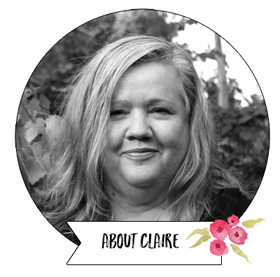 For an elegant background, I have clear embossed using the gorgeous Stampin' Up! Parlour Prints background stamp. I have used this a lot lately! The Stampin' Up! Addorning Accents Edgelits were used for that lovely edging. I hope this card brings a smile to your face :) Have a fabulous Thursday wherever in the world you are. It's chilly and wet here in Melbourne today but I feel warm and happy. It's time for my June classes by mail - just $20 each. and to kick start the Christmas card making for the year we have a Christmas Stamp a stack. You can get all the details of both classes and how to order them over on my June Classes By Mail page. Orders are being taken for each class up to June 20th, so be quick! Here's my first card, Wisteria Wonder polka dots (from the Sweet Shop specialty DSP in the Autumn mini catalogue), and a Get Well sentiment from Thoughts and Prayers. If you would like to order this stamp set or earn it for free, I'm home this weekend to take your order and place it straight away. Just call me on 03 9735 2946 or email me. We picked up our bags on the Wednesday eveing which was exciting. The bags were just gorgeous, my favourite so far. I loved this year's 'I am ..' theme. It was so empowering both professionally and personally. The Convention pin was so cute - a touch of vintage and very me! Convention is not complete without a trip to Memento Mall. Here's my stash! One of the most awesome things about Convention is having time to spend with my fabulous team ladies. We had about 30 of us there this year which was awesome! Here are some of the team, from L-R Christine, Di, Alisha and Barbara. L-R in this one is Tobi, Tina, Ros, Teena, Jodie, Genna, Christine, Nikki. and here is Tina again with Miriam and Kathryn after their memento mall shopping! It's also a great opportunity to also catch up with dear friends from right around Australia. 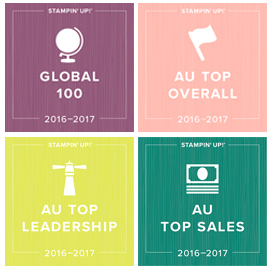 The relationships are definitely what makes being part of the Stampin' Up! family so rewarding. Here I am with Jenni, Tracey and Corina. and here with Jacqui Crouch who is one lovely lady I really click with from Tenterfield in NSW. Her friendship means the world to me. and a Convention wrap would not be complete without a photo with the 'Perth Sarah's'. Love these girls to bits! One of Convention highlights is Managers Reception. This year I have 6 Managers in my team including myself, but only 5 of could make Convention. Here we are at Manager Reception (at Parliament House may I add) with our awesome CEO Shelli Gardner. We are so spoilt at Managers reception. This year we received a lovely stamp set and a beautiful framed piece of handmade art work. So special! Another highlight was the Awards and Recognition dinner. It is always a beautiful setting with floral centrepieces and the food was absolutely amazing! I felt thoroughly spoilt. Convention is also a time for Celebrating, and there was lots to celebrate this year. First exciting thing was to be in the first group of ladies to walk across the stage being with the company for over 5 years. I was really thrilled to be in this inaugural group, and can't wait for the 10 year march! Personally I was placed in the top 25 (number 20) and also received a Leadership award which I am super proud of. I am even more excited to say this year we had three of our team in the top 25 demonstrators in Australia - myself, Sue Madex at 17 and Kylie Bertucci at 23. How awesome is that? We received a certificate, a beautiful yellow rose from Shelli, and a cute handmade box with chocolates. So spoilt! At awards night Shelli also announces where next years Incentive Trip (now called the Grand Vacation, which I love!) is, and also next years Convention. Next years Convention 2013 will be in beautiful Brisbane from May 23-25th. There was also much excitement when it was announced that next years Grand Vacation would be Salt Lake City Utah! Canberra is such a beautiful city, especially in Autumn. I'm really looking forward to taking the boys there one day to show them around. I know Josh would especially love it. After buying another suitcase to take home my free goodies and Memento Mall purchases, I took myself off to the National War Memorial which was an incredibly moving place. I took lots of photos and I will share them with you in another post soon. Here's just one shot. I haven't even touched on all the fabulous presentations, and the amazing staff, so there will be another post soon. I'll be back again soon with some stamping related posts and news, but in the meantime if you are thinking how much you would love to be a part of Convention experience in years to come, call me on 03 9735 2946 or email me . We'd love to have you as part of our fabulous Art with Heart team, either with me or one of my great team members. We're in every state and territory of Australia.